This was until the then Minister of Health, Dr Nkosazana Dlamini Zuma, banned smoking in public places. 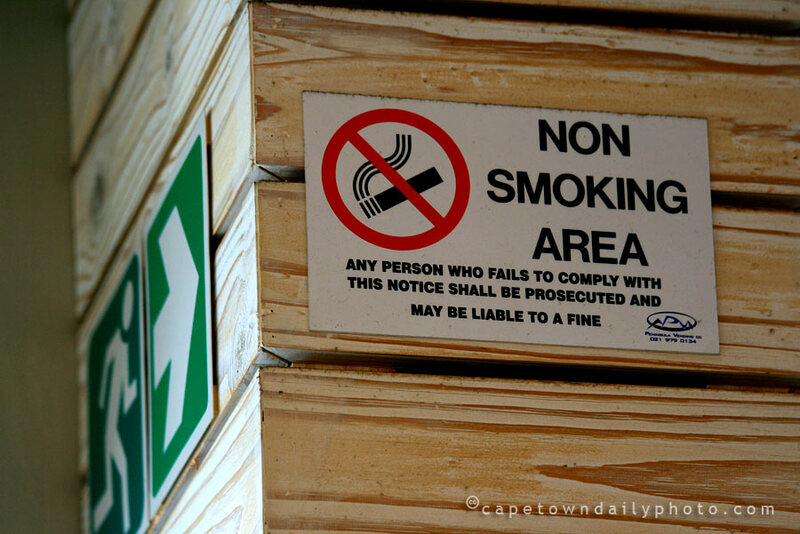 Restaurants have been forced to restrict smoking to a small percentage of the total floorspace, and these designated areas have to be properly sealed from the rest of the restaurant. Smoking has been banned from public transport, shopping malls, places of work... essentially all indoor and many outdoor public areas. If there's one good thing that Madame Zuma did for us, it was to make South Africa a cleaner, less smokey country. Way-to-go Dr Zuma! Posted in General on Monday, 4 August, 2008 by Paul.